There’s not much you can do to spice up speaker docks at this point — they’re pretty much old hat. But what if that dock allowed you to plug in your iPad and iPhone, or iPod simultaneously? Ah, now we have your attention. Slated to hit the land that begot Kurosawa in mid-summer, the JVC UX-VJ3 and UX-VJ5 make their iOS connectivity a folie à deux. Sporting an AM / FM tuner, video out and a PC input, these sleek connectors don’t appear to part much from the typical feature set. It’s the VJ5 that’s the real standout here, with its six apartment-blending color options, USB port and ability to rip MP3s from a built-in CD drive. Sound swanky enough for you? We thought so, but with no announcement on North American availability, lusting audiophiles on these shores have a bit of a wait ahead of them. Check the source to get a glimpse of these iOS displays in their full color spectrum. 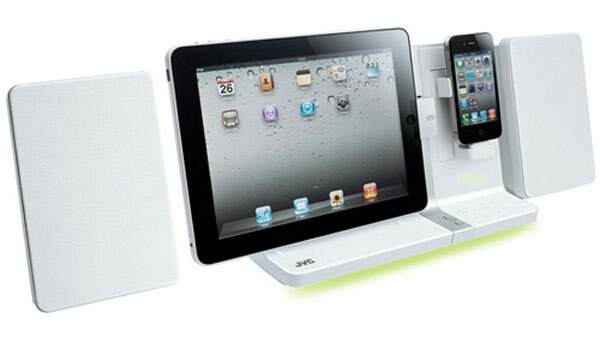 JVC’s UX-VJ3 and UX-VJ5 speaker docks play (elegant) host to iPad and iPhone originally appeared on Engadget on Wed, 06 Jul 2011 17:06:00 EDT. Please see our terms for use of feeds. One of the front-runners for the title of the world’s first 7-inch Honeycomb tablet finally has a release date, and a prospective price, but it might not make it out of the gate as the ViewSonic ViewPad 7x. No, this Tegra 2-powered slate has been rebranded as the Camangi Mangrove 7 for a mid-August Japanese release, sporting an estimated retail price of 49,800 yen (about $615). 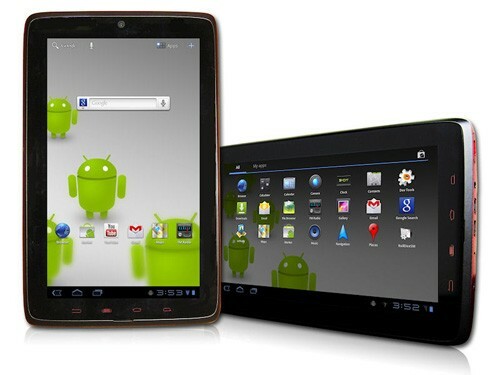 Aside form the name, not much is new here, but you can expect 8GB of storage and 1GB of DDR2 RAM. Here’s hoping the Mangrove 7 outperforms Camangi’s last 7-inch affair. Unfortunately, there’s still no word on when the ViewPad 7x will make its American debut, or how much it will cost when it arrives, but we’ll keep you posted. ViewSonic ViewPad 7x rebranded as Camangi Mangrove 7, lands in Japan mid-August originally appeared on Engadget on Wed, 06 Jul 2011 16:39:00 EDT. Please see our terms for use of feeds. How’s hog-tying search terms sound as an alternative to plain old cut and paste? Well, according to Microsoft, it sounds mighty fine. The software giant just announced Lasso, a new touch-friendly search tool for the Bing iPad app that allows you to rope in your internet queries by circling a word or phrase. Once you’ve drawn the circle, Bing automatically generates a search using the selected words. No word on how this will work out for us chubby-fingered searchers, but if you’ve given it a go ’round the ole corral, let us know how it’s treating you in the comments. 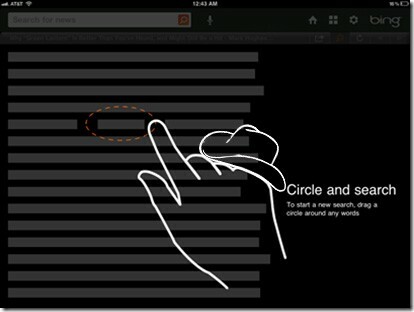 Bing introduces Lasso for iPad app, does cut and paste the cowboy way originally appeared on Engadget on Wed, 06 Jul 2011 16:15:00 EDT. Please see our terms for use of feeds. This entry was posted on July 6, 2011, 5:31 pm and is filed under Mobility. You can follow any responses to this entry through RSS 2.0. Both comments and pings are currently closed.